Everyone in Sheridan is familiar with Chris Carroll and Carroll Furniture. The family owned and operated store has been in the Carroll family for 95 years. Chris, who has been involved with the DSA since 2004, explains that being involved with a group is important. 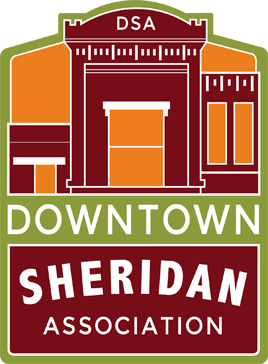 “It’s a great organization to be a part of to benefit Downtown Sheridan.” He helps with a variety of DSA events including Third Thursday, the Annual Wine Fest, Goose Creek Polo Cup, and the popular downtown flower baskets. “I have a big warehouse where we store the flower baskets for the winter. In addition, I have a big truck so that’s always helpful when DSA needs to move things around,” Chris says.